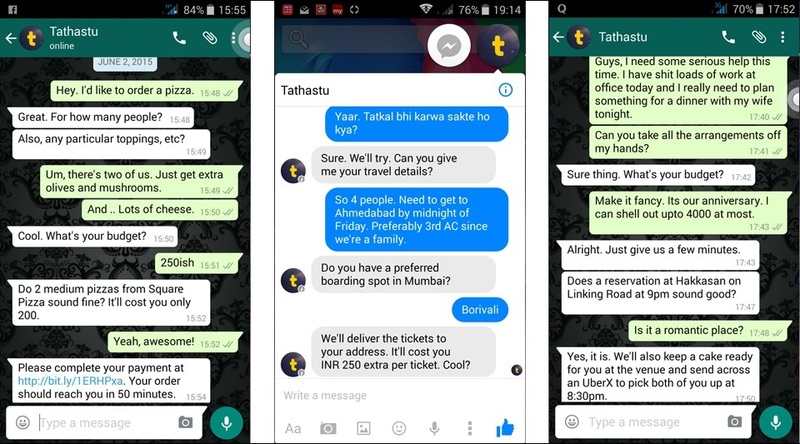 About a year ago, a bunch of IIT-Bombay students started a WhatsApp based local personal assistance service called Tathastu that helps people get various day-to-day tasks done such as getting a pizza delivered, booking a flight ticket, running an errand and so on. Now after a month of its launch, Tathastu (meaning ‘so be it’) is all over the internet, and has also been named the best startup in India by Quora community. Haptik: An India based mobile app that assists people in performing day-to-day chores that can be done using online resources – such as finding a good shopping deal, checking movie timing and booking, etc. 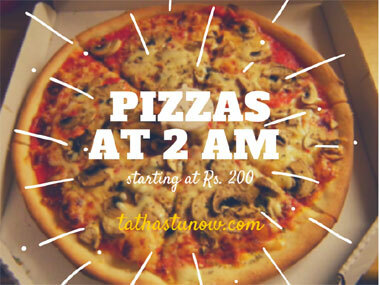 As of now, Tathastu team is excited to launch their services in other cities. However, we see some hurdles down the line. 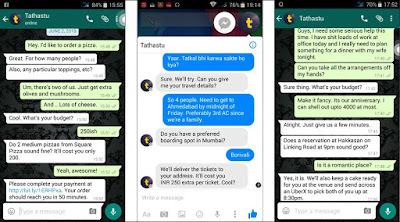 Tathastu is touching various online and offline services all at once, and presently they don’t have the manpower to handle that. So, scaling the business seems like a pretty difficult task for now. But even with sufficient manpower, bringing different markets and services together seems like creating a cumbersome situation for the business. So, it would be interesting to see how they scale. What do you think about Tathastu’s personal assistance services? Do you find them interesting and would like to see them in your city? Tell us in comments section.